If you are an attorney and you are not blogging on a regular basis, you might be missing some genuinely lucrative opportunities. Blogging enhances your marketing efforts in several important ways. Probably the most important long-term aspect of blogging is the search engine optimization (SEO) benefits that blogging provides. Every blog post that you write extends and expands your website and provides more opportunities for your website to rank higher in the search engine results. That, of course, makes it easier for the consumer to find you. Search engines like Google are designed to seek fresh content, so when you post something new on a regular schedule, and when the search engines find that new content as they “crawl” your page, those pages are indexed by the search engines and “crawled” more frequently. For attorneys, blogging is the most sensible way to extend and expand your website with fresh material. Moreover, your website could drop in the search engine rankings if you do not post fresh content on a regular basis. And while regular blogging is imperative, so is quality blogging. There’s nothing wrong with checking out other websites to get some ideas, but your visitors want original, engaging, informative, and practical content. Visitors who in fact do find your blog posts useful may share them on Facebook or Twitter, expanding your readership and bringing, even more, new visitors to your site. Google also considers social media activity when it ranks pages, so the more your blog posts are shared on social media, the higher they rise in the Google rankings. WHY DO SOME ATTORNEYS LOVE BLOGGING? Some attorneys love to write blog posts. Blog-writing provides a break from the formalized, legal writing style that lawyering requires. Blogging is the chance to do something different or try something new, to express your ideas, ideals, and passions. Some of the most prolific attorney-bloggers, for example, are activists who write passionately about legal and social justice issues, openly seeking to persuade readers to share their convictions. But that’s probably not you. In fact, you may be thinking that none of this can help you because you simply have no time to write two or three blog posts a week – or even one a month. That’s where a professional internet marketing agency can help. A full-service online marketing firm can draft as much content as you need as often as you need it. By working with a staff of experienced professional writers who are familiar with legal issues and who write regularly for attorneys, an internet marketing agency can ensure that your website has the content it needs – freeing you to focus on the practice of law. When you partner with an internet marketing agency, you’ll obtain the skills and services of experienced researchers and professional writers who can create and supply the blog posts that meet your specific marketing needs. You can order posts on particular legal topics, and you can make or request revisions to any text, but the weight of having to write something every week or once a month will be lifted. WHAT ARE THE KEYS TO EFFECTIVE BLOGGING? Of course, written content must be properly optimized to take full advantage of the way the search engines work. There are several key elements in any effective blog post, and each element must be considered carefully. A good internet marketing agency and its writers will ensure that targeted keywords and phrases are appropriately and smoothly embedded into the content to obtain the highest possible search engine ranking. And every piece of content will be one hundred percent original – every time. Good writing is the key to good blogging, but good writing is also essential on your home page, across your website, and everywhere else you post content online. A visually attractive website will catch a visitor’s attention, but it’s what the text actually says that will make the difference between a new client and a one-time visitor. Your home page content should explain to your visitors who you are and what you do. Make that clear right at the beginning. Then, your home page should encourage visitors to stay and learn more about you and your law practice. The words on your home page are some of the most important words you’ll post anywhere online, so they have to be right. A good internet marketing agency can help. After you’ve met with experienced online marketing professionals, they can create a website with content that reflects your goals and articulates your vision. 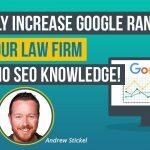 Candidly speaking, a lot of attorneys and law firms could substantially boost the appeal of their blogs. Too many are still using their blogs simply to recapitulate news stories about local traffic crashes (if they’re personal injury lawyers) or about celebrity divorces (if they’re divorce attorneys). And far too many other lawyers neglect their blogs for months or even years at a time. WHAT DOES EFFECTIVE BLOGGING ACCOMPLISH? The writing services that an internet marketing agency can offer address one of the leading concerns in online marketing – creating enough high-quality content on a regular basis to attract new visitors and search engines while also providing useful information in an engaging manner. Your online visitors are seeking easily-understood explanations of the law and how it affects their lives. They want to know how you handle cases like theirs. An effective blog accomplishes these goals and brings visitors back when they need more legal information. Any online content that you write or post may be your single opportunity to turn a website visitor into a valued client, so you can’t neglect or overlook that opportunity. An internet marketing agency can provide the written content you need – and much more. Online marketing professionals can establish a powerful online presence for your practice and coordinate all of your online marketing across the internet. Start marketing more effectively – now. If you simply don’t have the time or interest in blogging to do it well and regularly, call and arrange a consultation with the professionals at an experienced internet marketing agency.